Time to Sell Your House? Don’t Do It By Yourself. Thinking of Selling Your House on Your Own? Think again. 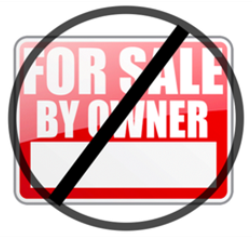 In the current market, it can certainly be tempting for you to sell your home “For Sale By Owner” and save the expense of commission. However, in almost every case we see, it will cost you more money, a lot more time, and cause a significant amount of stress in your life versus hiring a professional. Whether you are moving for a new job, or it’s simply time for something different, each year Big Canoe residents face the decision of how they will sell their home. Although many people believe that they can handle the task of listing and selling their home on their own, they soon regret their decision once they realize how much time, work and skill is required. Here is just a short list of the people that you work with, and you will need to know how to negotiate with, in order to sell your house: The buyer, the buyer’s agent, the buyer’s bank, the inspection company, the appraiser, and the title company. Do you have the expert knowledge to negotiate with these people? 90% search online and 10% look at newspaper or magazine ads. Do you have your own listing website or the marketing skills to create and promote your own ads? Big Canoe Real Estate Agents have unique Internet strategies to promote the sale of your house, and the resources to do so. They have the largest marketing and sales budget of any real estate brokerage company selling Big Canoe property. No offense here, but you aren’t necessarily unbiased about your home! When you hire a professional, they will point out the scratches on your baseboards that you’ve stopped noticing or the kid’s finger prints and scuffs on your kitchen cabinets. No matter how great of a decorator you are, your home might not be ready to sell without a little help staging and preparing. When you sell your home “For Sale By Owner,” you may overlook those details. This will hurt you by either not generating an offer, or getting an offer below list price. If you sell your home “For Sale By Owner,” you are taking on all of the risk that your transaction was done legally, and that you’ve disclosed everything you needed to disclose about your home to the buyer. By hiring a professional, they will make sure you’ve disclosed all of the important facts about the home and make sure the transaction is handled correctly. A Real Estate Agent’s job is to work for you and get you as much money as possible from the sale of your house. Big Canoe Realty has, over the years, gathered more than 63,000 potential buyers in their database. This unique and private database likely has a potential buyer interested in your home. BOTTOM LINE: Before you decide to take on the challenges of selling your house on your own, meet with a Real Estate professional and see what they have to offer. Big Canoe Realty Agents are available seven days a week to discuss your needs. You have nothing to lose! Call 770-893-2733 to schedule an appointment.